Marianne Newton with some of her works currently on display at the Port Stephens Community Arts Centre. 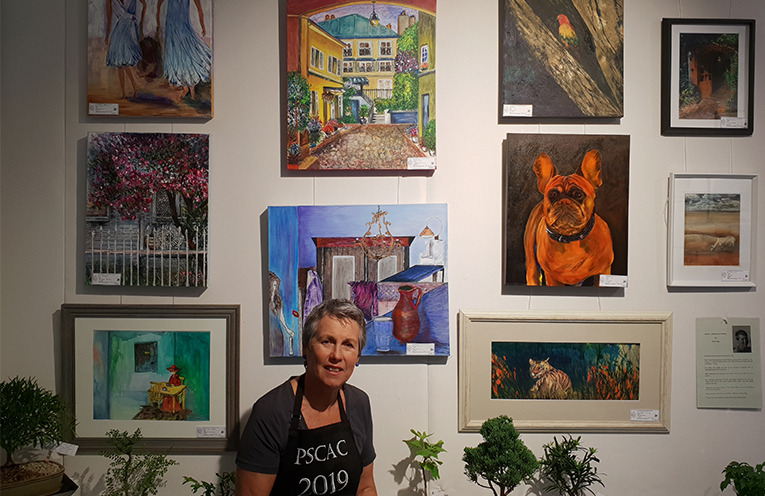 CREATIVITY comes in many mediums and this months feature artist at the Port Stephens Community Arts Centre is one who explores different mediums for texture, colour and intensity. Creativity is central to Marianne’s approach to life. After completing secretarial studies Marianne advanced her ambition in the creative art world of Clothing Design at the New Brunswick College of Craft and Design, in Canada. “Her ability with textiles resulted in her successful career in business both in Dressmaking and Soft Furnishings. “After retirement she expanded her creative side by pursuing art as her passion,” she said. Her individual application of colour and design feature in all of her art works. Texture with the use of various media, namely acrylic, inks and pastels underpin her style. Marianne signs her works ‘Yanney’, which, is harks back to her Dutch heritage. Leading the Port Stephens Community Arts Centre ”Pastel Meet” a group that has grown to ten enthusiastic artists who meet on the second Wednesday of the month, Marienne works with the Pastel Meet Group exploring their creativity, while enjoying comradery and the delicious homemade cake provided by Marianne. Membership at the Gallery is open to members of the community, if you would like to find out about membership and the classes available to those wishing to explore their creative side, pop into the gallery and speak to the members who are on duty. Together with Judy Jones and Nada O’Loughlin-Yonge, Marianne is a gallery stylist ensuring that our six weekly exhibitions reflect our members work in the best possible way. Marianne is a member of the organising committee for the 2019 Port Stephens Art Prize which will open at 6:30pm on 15 March. To enter the art prize visit https://artscentrenelsonbay.org.au/art-prize-2019/ entries close on 15 February 2019. 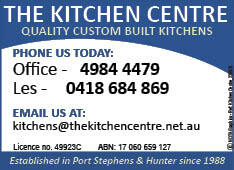 The Port Stephens Community Arts Centre is located on Cultural Close Nelson Bay adjacent to Neil Carroll Park.